It's Facebook Fridays! for July 14, 2017, and we want to offer you a way to have a subtle, but powerful effect on someone's heart or mind! 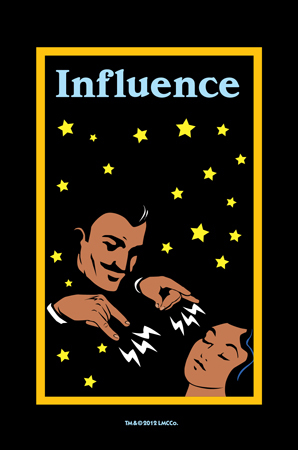 The Lucky Mojo Curio Company is holding a random drawing to give away 9 Influence spiritual supply prizes to sweeten the attitudes and sway the actions of your intended in the manner you direct. 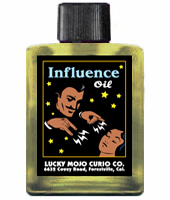 This week each lucky winner will receive a bottle of hand-made Lucky Mojo brand Influence oil. All you have to do to enter is to scroll down and post a comment to this Facebook Fridays! status message. First thing tomorrow morning, we will select NINE winners at random, announce their names here, and ask them to message this Facebook Page with their mailing addresses, so we can send them their FREE Influence products. We have a winner! In fact, we have 9 lucky winners! Our Facebook Fridays! winners for July 14, 2017 are: Curt Mortis, Bruemmer Emi, Jolene Figueroa, Jasmin Gardner, Lisa Perizzolo, Browder Nicole Keisha, Keaoshia Johnson, Melissa Kliesch, and Tomarcie M. Alston.